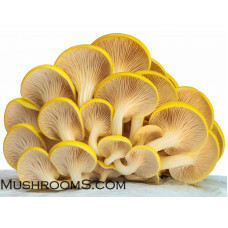 Oyster mushrooms are of the genus Pleurotus and are by far the easiest and least expensive gourmet mushroom to grow. 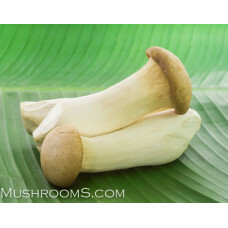 They are commonly used in gourmet cooking world wild and spread throughout forests world wide. Not only are they beautiful but most are delicous. 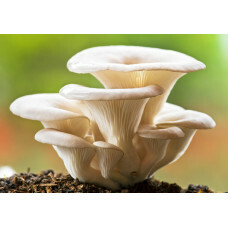 Oyster mushrooms grow on a wide variety of substrates. They thrive on most all hardwoods and wood by products like sawdust and paper. Also on all commonly found grains like brown rice, rye, birdsed mixes, cereal straws, corn and corncobs, sugarcane, coffee grounds, compost and much more. 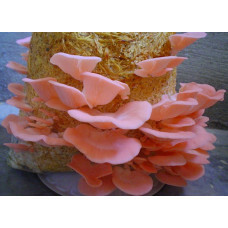 Oyster mushrooms come in a variety of colors and adapt to various temperature ranges and are commonly eaten throughout the world. 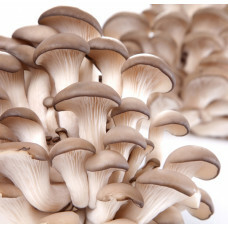 Oyster mushrooms naturally produce lovastatin, a drug approved by the FDA for lowering bad cholesterol and raising good cholesterol. Higher concentrations can be found in the caps, mature gills and especially the spores.